Hey everyone! Jessica here from The Hook Nook! SUMMER IS HERE!! Finally!! I’m pretty sure I have found an excuse to sit out in the sun every single day that it’s been warm over here in the PNW. The warmth feels just so amazing after such a cold winter! 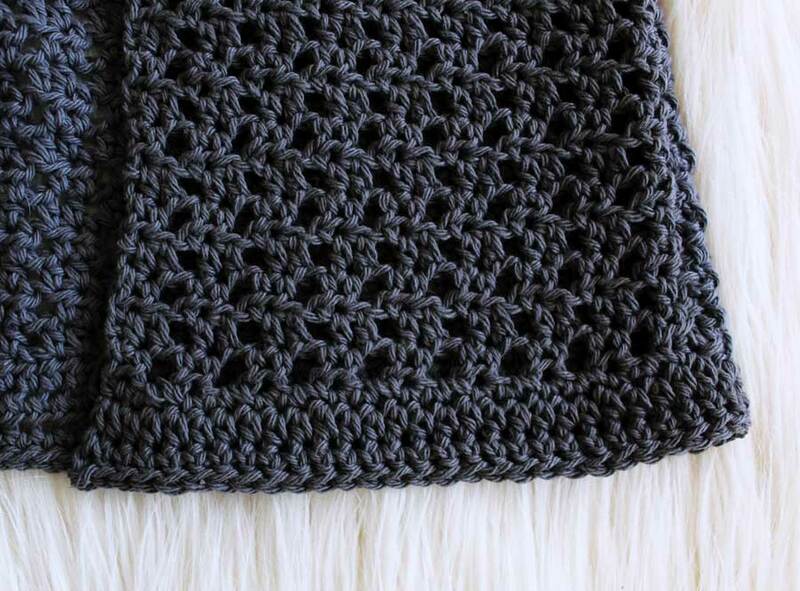 Even with these warm temps, I still can’t seem to put my crochet down! Wool may be a *bit* too warm to play with right now, so I pulled out my cotton! Cotton is such a great fiber to use during warm months (along with linen, bamboo, and even fabric yarn!) because it’s cool, doesn’t retain heat and is just so comfortable! I wanted to make something that I could wear this season with any outfit AND wanted to use my cotton. 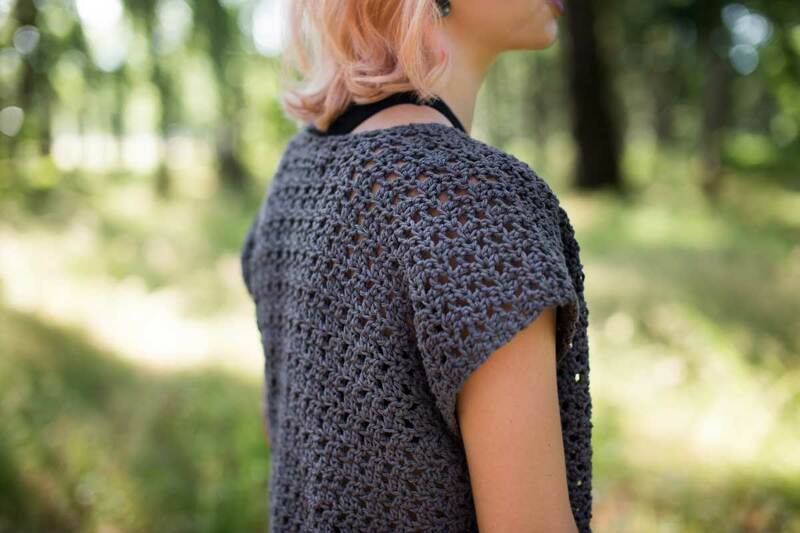 I decided to make a lightweight and breezy cardi that is perfect for the summer! 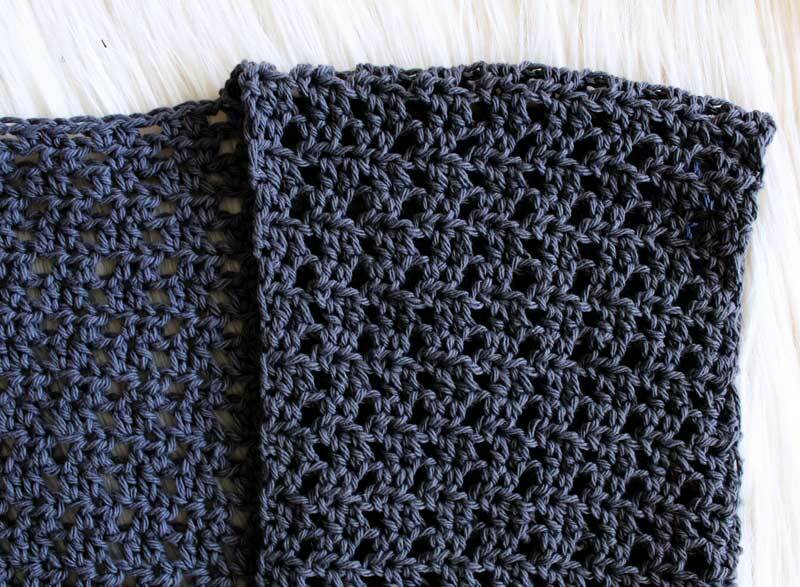 Barely-there short-sleeves, a breezy stitch sequence and the perfect charcoal cotton yarn made for the perfect addition to my closet - and yours as well! 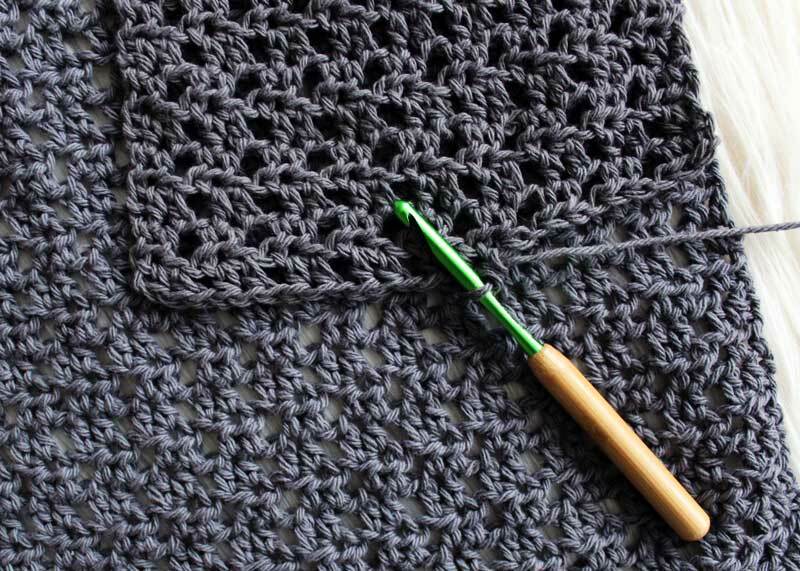 Grab your K/6.5mm hook, some Bernat Handicraft DeLux cotton yarn (available at your local Jo-Ann Fabric and Craft Store) and let’s get started on making your very own! Pattern is written to fit three sizes - Small (Bust size 32-34), Medium (bust size 36-38), Large (40-42). When following instructions, sizing is noted as follows: S/M/L. 2. Starting in 2nd CH from hook, HDC across. 3. CH 1, turn. HDC in first two sts. (CH 1, sk 1, 2HDC). Repeat () across. 4. CH 1, turn. HDC in first two sts. (CH 1, sk CH-1 sp, 2HDC). Repeat () across. 5. Repeat Row 4 until work measures 19.5”/21”/22.5”. 7. CH 1, turn. HDC in first two sts. (CH 1, sk CH-1 sp, 2HDC). Repeat () across. 8. Repeat Row 7 until work measures 40”/43.5”/46.5”. Finish off. 9. Attach yarn using a Sl St to top of back panel and repeat Rows 6-8 to create second front panel. 10. Lay work down with two front panels on top of back panel. Be sure that it is laying flat and bottom hems are lined up correctly. Attach yarn to bottom right corner using a Sl St. (CH 1, Sl St) along the side of the piece to secure panels. Leave 7”/8”8.5” space for arm hole. 11. Repeat Step 10 for bottom left corner. 12. Attach yarn using a Sl St to bottom corner. SC in each St and CH across. 13. CH 1, turn. HDC across. 14. CH 1, turn. SC across. 15. CH 1, turn. Sl St in each St across. Finish off. Weave in ends. TA DA! You did it!! Now put that baby on and be so proud of yourself! You MADE that!! Amazing, right?! Making our own clothing can be so powerful and create some serious self-worth. You’re just so awesome. 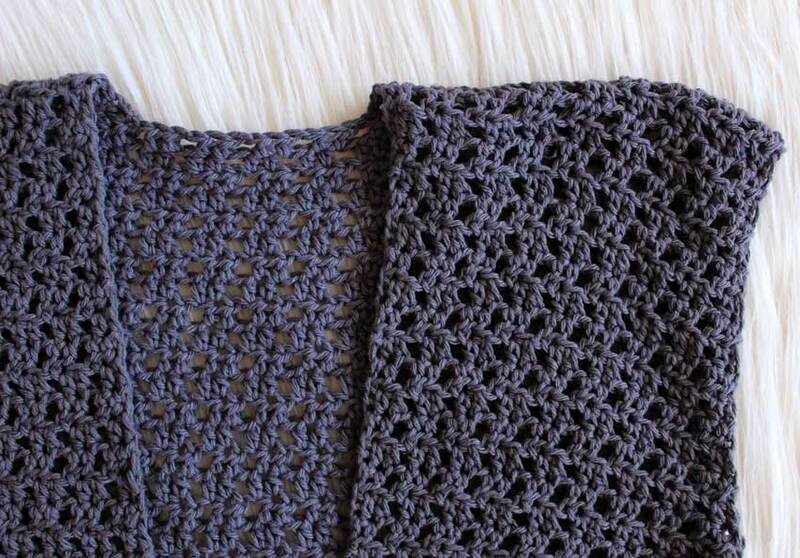 Want to try this pattern with other yarns? It’s a great way to see how different yarns work up and how the same stitches can look so different when simply done in a different fiber. 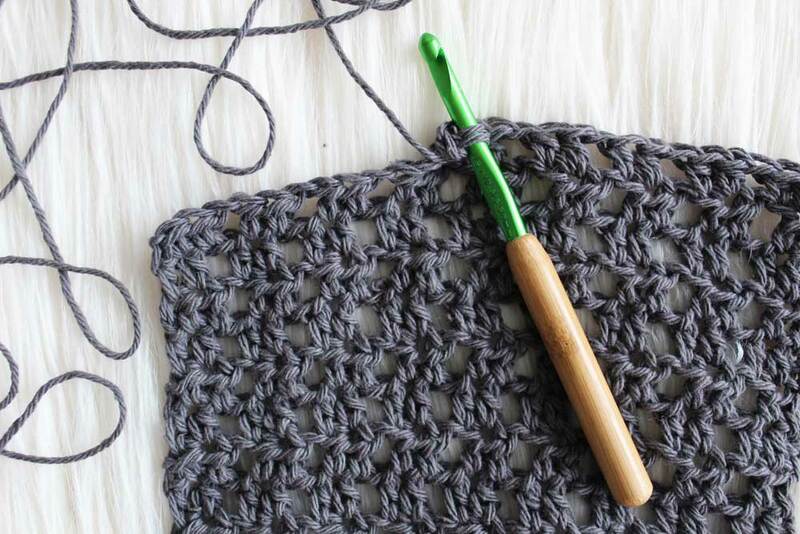 Keep in mind that other yarns may affect your gauge so ALWAYS check first. I know it’s annoying, but I promise. It can be the difference between an adult cardi and an accidental children's cardi.